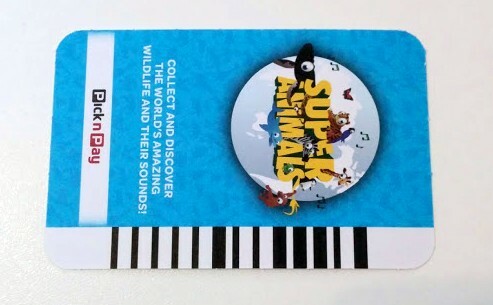 In this article I attempt to decode the barcode used for PnP’s “Super Animals” cards. It was done mainly as a learning exercise, and to play some sounds for my 2 year old son with the scanner. Scroll down to the bottom if you’re only interested in the generator. EDIT 2017-04-25: Just a quick note, this generator also works for the newly launched ‘South African Super Animals’ campaign, you just have to add 108 to the card number. 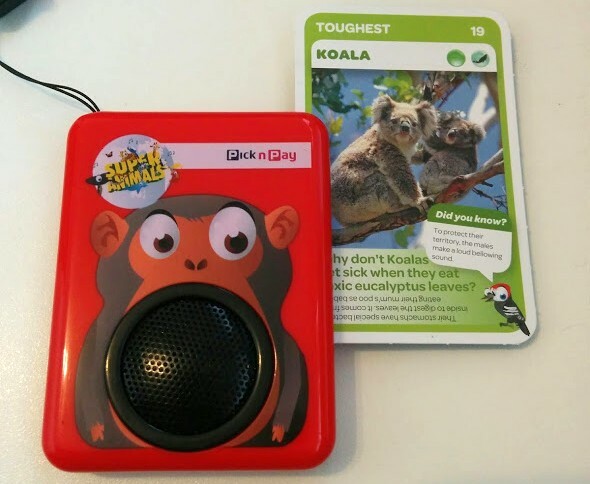 Pick n Pay recently launched a “Super Animals” campaign. When you spend a certain amount of money, you are awarded cards. Each card has a picture of an animal on one side and a barcode on the other. 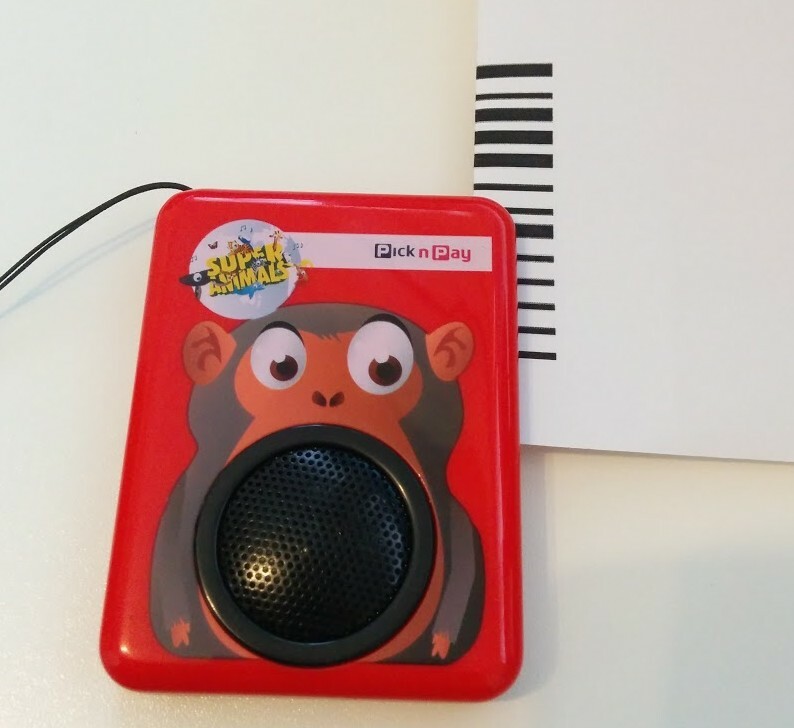 They also sell card reader that plays the sound the animal makes when you scan the card. There is also a phone app that scans the front of the card, but this post is only about the barcode and barcode scanner. 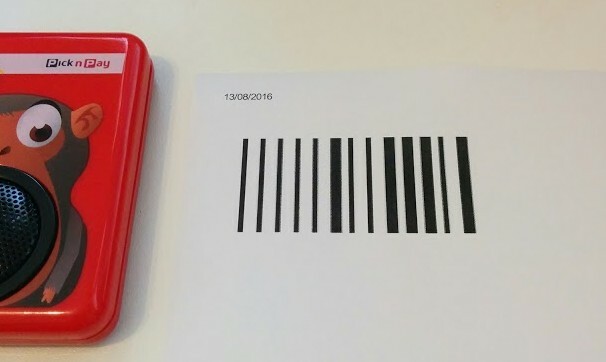 The barcode has 13 lines, each representing one bit. A thin line is “0”, and thick line is “1”. Let’s assume the bottom of the card represents the first bit, since that is the first line scanned. The first two bits were always 0 (two thin lines). The third to 10th bit represented the card number in binary. For example, card #19 in binary is 00010011. The 11th and 12th bit was always one of two combinations, it was either “10” or “01” (thick, thin or thin, thick). The last bit was always 1 (one thick line). After comparing a few more cards I saw another pattern. Bit 11 and 12’s pattern (either “10” or “01”) corresponded to the number of bits set in the binary representation of the card number. If the number of bits that were set were odd, then bits 11 and 12 was set to “10”. If the number of bits set were even, then bits 11 and 12 was set to “01”. So using the card in the photo above (card #19), the card number in binary (“00010011”) contains an odd number of bits (3), so bits 11 and 12 is set to “10”. 10 if number of bits in card number is odd. 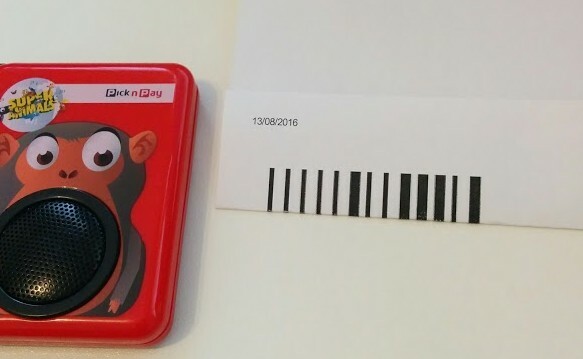 Note: To generate barcodes for the second set, “South African Super Animals” just add 108 to the card number. If you print it on normal paper you can fold the paper in half to make it a bit sturdier to scan. Thank you for this info. Knowing this, please could you comment on the fact that pnp claims it is impossible for their old card readers to accurately read the new cards because they couldn’t program them. Am I being ignorant in my belief that they’re trying to cash in on the general public’s lack of technical understanding? Because I can’t see how it’s impossible for the old readers to scan the new barcodes accurately. Great thinking. I was never ankle to get the complete collection. Thank you for this. Now I can complete it at home. Wowww….how do i not think like that about barcode?